October 16, 2015, Queens, NY It’s started with a slow ground ball that looked like a routine out. Upon further investigation, a.k.a., videotape replay, Curtis Granderson beat the throw. 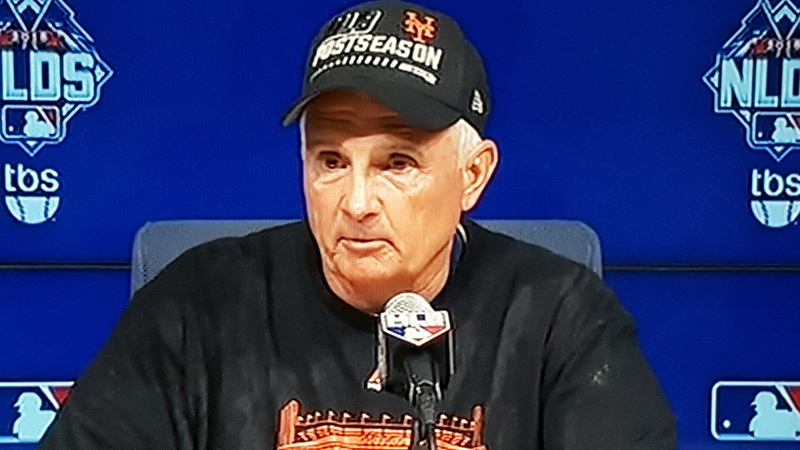 It was a tone setter that produced the first run of Game Five between the Mets and the Dodgers. 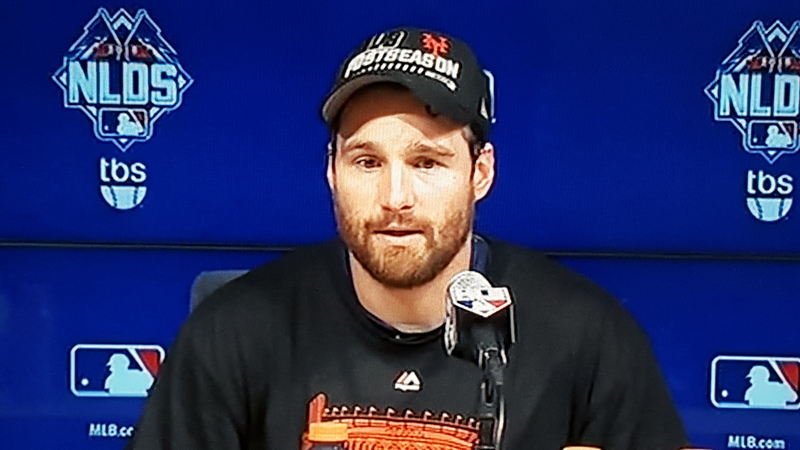 A hot Daniel Murphy drove in Granderson allowing the Mets to take a one-run lead and go on to defeat the Dodgers in the best-of-five National League Division Series by a score of 3-2. 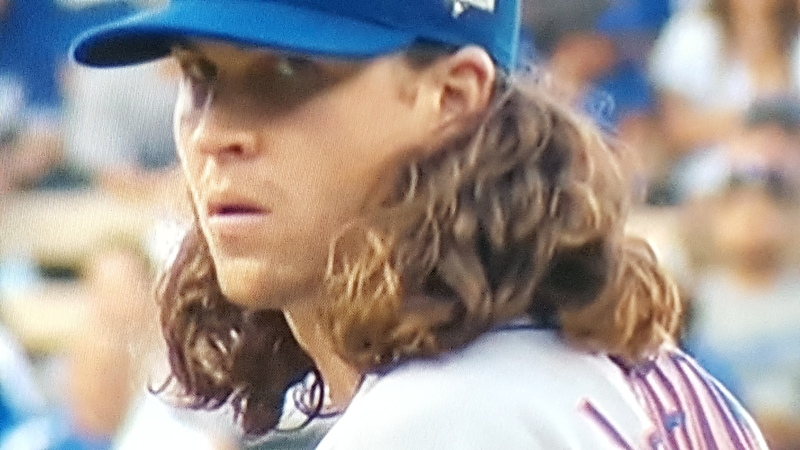 Jacob deGrom out dueled possible 2015 Cy Young Award winner Zack Greinke in the biggest game of his (deGrom’s) career lasting 6 innings, giving up only two earned runs, and striking out seven. This was deGrom’s second victory of the series with both wins on the Dodgers’ home turf. Greinke went 6 2/3 innings, struck out 9, and surrendered 3 runs. He ended up with a 1-1 record in the 2015 post-season. Daniel Murphy got 3 hits including the go-ahead homer in the sixth inning off of Greinke. At the time, you thought a one-run lead against the $200 million Big Blue Machine wouldn’t hold up, and that an insurance run was needed. Noah Syndergaard was called upon as a reliever and pitched one scoreless inning. For the first time in his career, Jeurys Familia pitched a two-inning save as the Mets held on the Dodgers went home. While it may not have been fair by conventional standards, the Mets pitchers were just grittier. deGrom has elevated his reputation and must be thought of as an ace who is every bit has potent–and maybe even more so–than the Dark Knight, Matt Harvey. This was an extremely hard loss for the Dodgers who were purchased a few years ago at a hefty price of $2 billion. 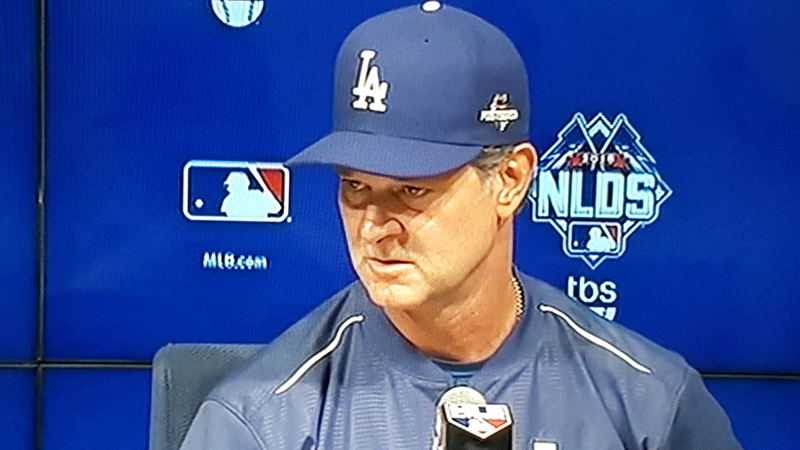 Manager Don Mattingly will most certainly receive the lion’s share of the blame and may be replaced. 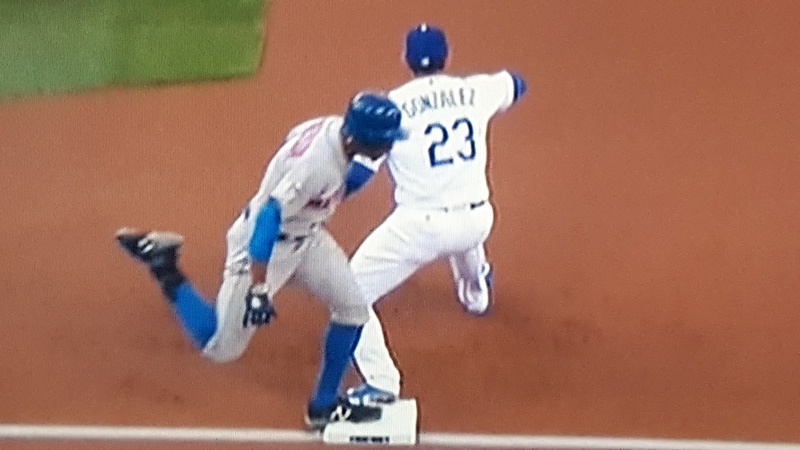 If the Dodgers lost to the St. Louis Cardinal (who also will be on the wrong side of the television, watching instead of playing), that might have been acceptable. But a loss to the Mets, who were established to replace the Dodgers when they moved from Brooklyn to Los Angeles, will be deemed as unacceptable to the rock-star ownership of the Dodgers. The Mets now face one of the most inept but beloved franchises in all of sports, the Chicago Cubs. Even though the Cubs won nearly 100 games this season, they were a wildcard team, so the Mets have home field advantage. Game one will feature Matt Harvey against Jon Lester. The Cubs haven’t won a World Series since 1908 (do the math), and they will have tremendous national support. 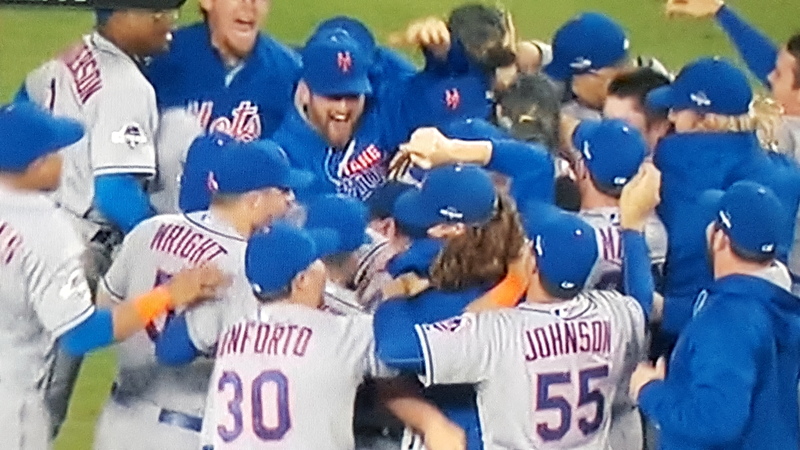 The Mets last won the World Series in 1986, but they did play in the 2000 World Series against the New York Yankees who were winning their fourth World Series in five years. Citi Field becomes the place to be this Saturday. The game will be aired on TBS. First pitch is scheduled for 8:07 p.m.